Black Friday is almost here. 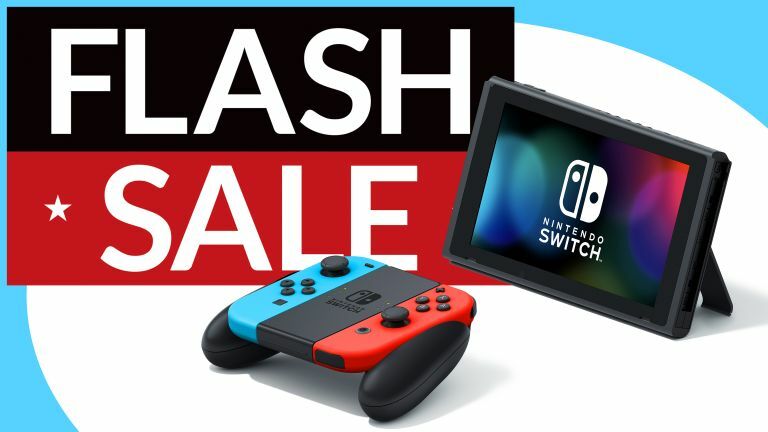 The blockbuster sales event is a great time to grab some bargain prices on the latest games consoles, including the Nintendo Switch. The hybrid console, which can be played on a HD TV via the bundled dock or on-the-go using the built-in six-inch touchscreen display, is one of the most exciting products Nintendo has launched in years. In our glowing Switch review, we said the console "takes the best parts from the Wii, Wii U and Nintendo 3DS and combines them into a system that is greater than the sum of its parts." Amazon has dropped the price of the Nintendo Switch console – in either grey, or neon red and blue finishes – down to £249. That's a saving of £30.99 compared to the recommended retail price, or RRP, and the lowest price we've seen the console alone available in the UK. Since the Switch is coming directly from Amazon, Prime members will be able to get free next-day delivery on their new console. That means you could have the console up and running in time to take full advantage of Black Friday discounts to some of the games available on the console. Of course, the £249 Nintendo Switch isn't the best price we've seen for the brand-new hybrid console – that award goes to EE, which is offering the games console for free with select Huawei and Nokia phone contracts bought before Black Friday.